honest, detailed and compassionate reading. I am a corporate adviser and financial analyst, Clairvoyant, Parapsychologist, Claudient and Clairsentient, Intuitive Spiritual Oracle, Metaphysical Healer. I teach Advanced Psychic Development courses & Self Healing techniques. I believe that we all need Spiritual Guidance and Insight. I have been called upon by all walks of life from all over the World to help by using my spiritual and psychic ability to locate the missing, reunite the separated & find the TRUTH in all negative and stressful situations. Will tell you your past, present & future in specific detail without asking you a single question. All readings are private and confidential. 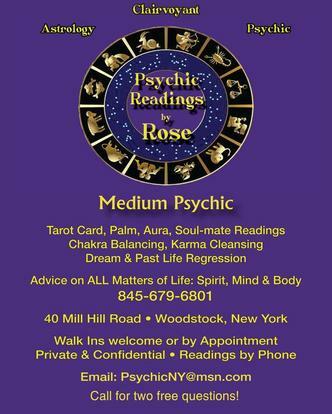 Schedule a session for a phone or in person reading by Rose. Available for parties, events, weddings, functions, fundraisers or special situations. 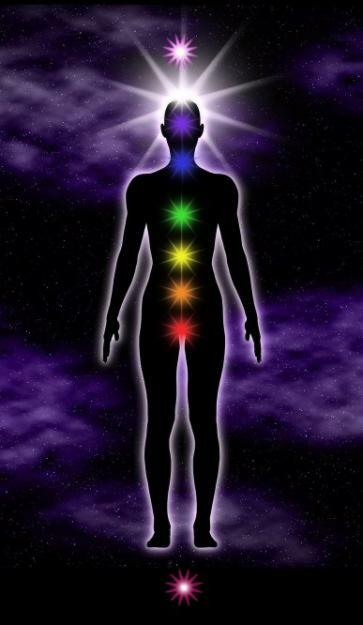 Home & shaman/energy cleansing Mind, Body, Spirit, Heart. Serving Ulster, Dutchess County, Greene, Sullivan, Columbia, Westchester, Orange, Putnam, Rockland, Nassau, Hudson Valley, & New England. Try New York's #1 Psychic Medium 100% accuracy. Se habla Español. Located in the heart of Woodstock NY at 40 Mill Hill Rd. Open 7 days a week, from 10am to 8pm.